A garden is an excellent addition to a home. While it may have been out of use for the winter, spring is on its way and that means you’ll get to enjoy it more as a result. From barbeques to sitting in the sun enjoying a good book, there is nothing like a private piece of land attached to the back of the property. Unfortunately, yours may be exposed and lack the element of privacy. You’re by no means a secluded person, yet it feels uneasy having to do your thing while the neighbours watch from their windows. You could move but it’s a bit of an over exaggeration. You don’t value your privacy that much! 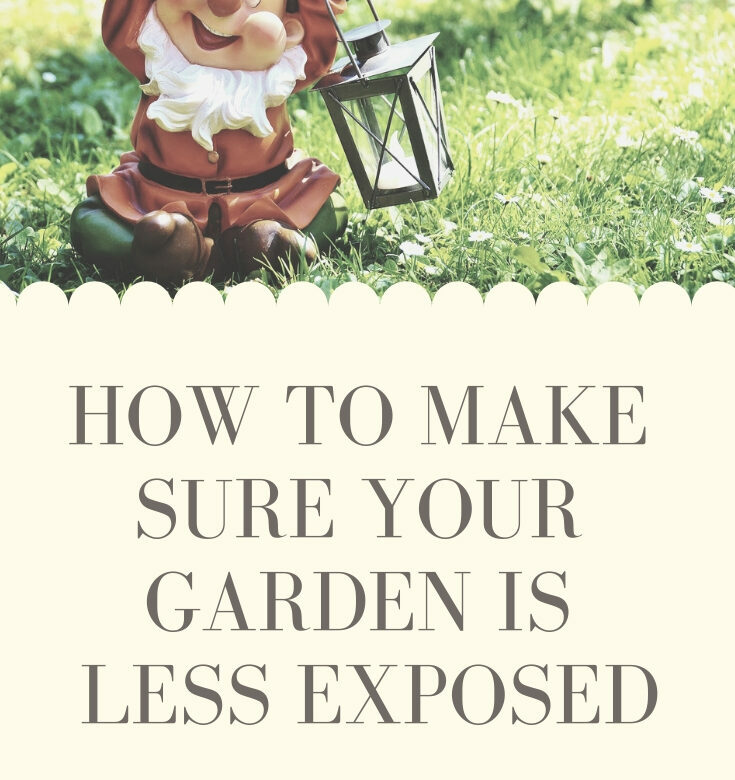 The good news is that there are basic and simple ways to ensure your garden area is less exposed. That way, you can relax without having to worry about peeping Toms and nosey neighbours. Scroll down to find out more about the tips that will transform your garden. Don’t worry because there’s no need to glue together a screen made out of stone. What this means is that you can use potted plants to block the view into your garden. All you need to do is to choose bases and flowers that are big and thick and grow to a decent height. Place them near the spots where you feel the most exposed and, hey presto, you’ll have some cover. People who tend to like this method are those who are on a budget or don’t own their home. Not only are potted plants cheap, but they’re not permanent which makes them perfect for anyone who is renting. And, don’t forget that they add a lot of colour thanks to their deep, vivid hues. You can even pick off the fruit and eat it if you pick a fruit tree. Due to their height and foliage, they are excellent choices along with bamboo and grasses. The obvious option is to put up a fence and block the view for everyone within a five-mile radius. But, there are two problems: the style and the message. As well as being big and ugly, it’s a statement that you don’t want your neighbours peering into your garden. Sadly, it can lead to arguments. ColourFence garden fencing panels may be able to help if you’re in a pickle. Because they won’t install their products over two metres without planning permission, there is a height restriction. Plus, the different shades and styles should fit into your backyard seamlessly as long as you choose correctly. But, if a metal fence isn’t your thing, there is an alternative. A faux hedge is a partition that looks real yet doesn’t grow. According to Freshome’s experts, the panelling means there is no need to water, prune or wait for it to take form. This is a great option for those who want a hassle-free natural style. Hanging fabrics may be the cheapest and most effective option available depending on the layout of your garden. If you have a decking or elevated area, it’s not difficult to use curtains to your advantage. Simply box the area off and install a rail. All you need to do then is attach a piece of cloth and pull it shut when you want your privacy. To take it to the next level, you can put up a pergola. They are by no means a lavish expensive, plus they are tough to install, yet the result is pretty unique. In the end, you’ll have an outdoor living space with a roof and drapes for some alone time. You can DIY one if you have the time and energy and want to save money, so check out The Spruce. It has incredible free designs. Rather than putting everything on the floor or at eye level, you can raise the garden. Growing it vertically means that the features will act as blockers and it won’t look unnatural or out of style with the rest of the garden. Plus, it’s straightforward with the right plans. The key is to make use of hanging baskets and potted plants. The former is simple yet the latter are harder as they need to be stable. So, put up a rack and attach them from a horizontal pole. As always, tall plants and flowers will work perfectly. In this case, if you build it, no one will come! Do you have any privacy tips you’d like to share? Feel free to leave them in the comments section.